In China, and in much of the developing world, attempts to regulate pollution are frequently undermined by non-compliant bureaucrats and powerful local businesses. Most governments have tried to solve this problem through bottom-up ‘fire alarm’ mechanisms—where politicians leverage citizen protests to expose egregious pollution violations. In China, however, the state has opted for a top-down “blunt force” solution, where the government forcibly shutters or destroys factories to reduce pollution, at immense cost to the local economy. Why would a state capable of delivering decades of high growth, censoring the internet, and controlling birth rates, have to resort to such an unsophisticated, costly method of pollution control? Integrating insights from law, regulation and developmental politics, I argue that blunt force regulation echoes a longstanding practice of political leaders sacrificing “reasonable” regulation for greater control over non-compliant bureaucrats. I illustrate this logic through case studies, interviews and archival data from China’s multi-year ‘war on pollution’. Using remote sensing data on pollution and an original dataset of local enforcement measures, I then demonstrate the effectiveness of blunt force regulation in overcoming bureaucratic non-compliance and improving air quality in China. 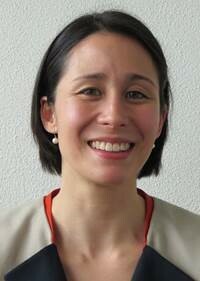 Denise van der Kamp is an Assistant Professor at City University of Hong Kong. Her research explores issues in developmental politics and environmental governance, with a focus on China. In particular, she examines government strategies for implementing environmental policies in contexts where both rule of law and civil society are weak. Denise received her Ph.D. in Political Science from the University of California, Berkeley, and was previously a postdoctoral fellow at the University of Pennsylvania’s Center for the Study of Contemporary China.